Cartwright Ranch at Hidden Springs is a premier master-planned community, nestled in the scenic Boise foothills. Cartwright Ranch (aka Neville Ranch) offers a beautiful rural environment, with over 810 acres of open space and trails held in conservation and dedicated to the residents use. Cartwright Ranch has recreational, educational and retail amenities all within the community at Hidden Springs Idaho. Here residents can enjoy over 24 acres parks/grassy common areas, a community orchard, a clubhouse with rec room, sand volleyball court, and an event barn. Learn more about Cartwright Ranch real estate below. In addition to homes for sale in Cartwright Ranch, you may also want to consider home in Hidden Springs Idaho. Browse all New Homes in Boise. You are certain to find the lifestyle you’ll love living, in a quality home, you’ll love living in. Your next new home is in Cartwright Ranch! It is close enough to everything, yet still removed from the hustle and bustle of life. Homesites: 680 acres featuring 682 building lots. 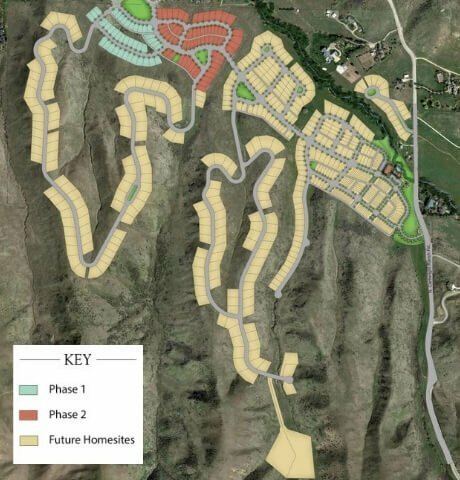 Phase I is currently under development and includes 40 single-family building lots for sale. North on Gary Lane. Continue through to W. Hill Road Pkwy. Turn left on N. Seaman Gulch Rd., turn right onto W. Hidden Springs Dr., Right on N. Humphrey’s Way. Are you looking for retreat-style living with a permanent address? Then Cartwright Ranch is a great option. Contact us today to get the process started - (208) 391-4466.